Pressovac disinfection tanks can also be connected to our pneumatic brush reel units. Pressovac also offers cleaning and disinfection fluids for air ducts. 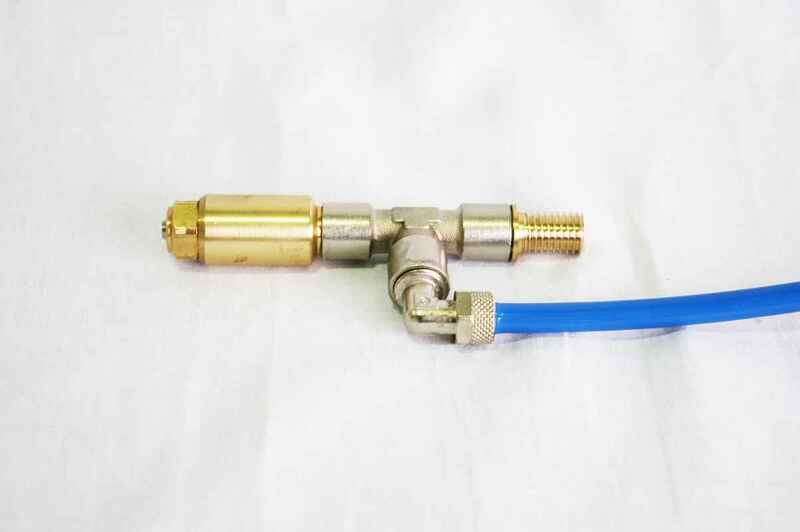 Suitable for P-25 & P-40 pneumatic brushing units. 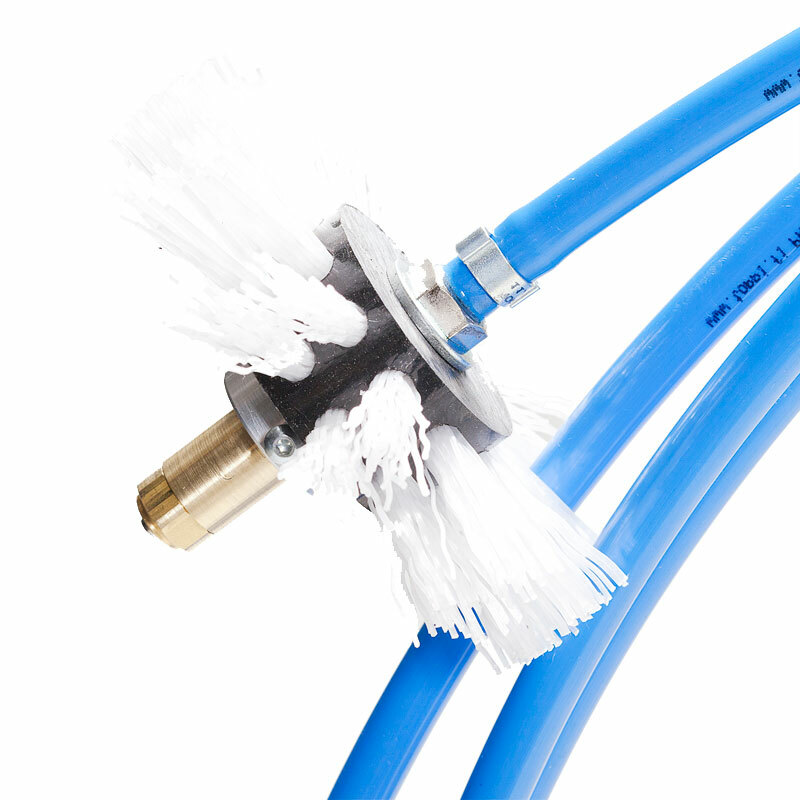 Use with D-5 or D-10 disinfection tank attached to brushing unit. Pressovac disinfection tanks are made of stainless steel, and they are very durable and easy to use. 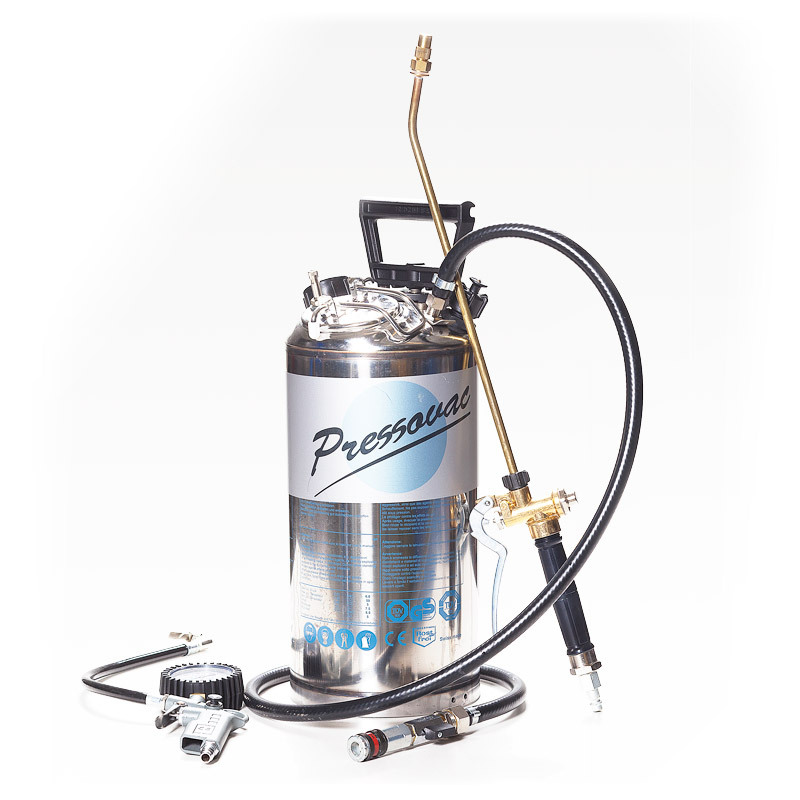 Tanks can be pressurised either with a compressor or hand pump. Tanks are very easy to fill, empty and clean because of a wide fill hole. Tanks have Viton seals.